I was born in 1949 in Iowa, but grew up in Menominee, Michigan. I graduated from Michigan Tech University in 1971. In 1983 I moved out here to the Phoenix AZ area, and have worked various jobs in the electronics and aerospace industry. I also was a partner in The Railfan Photographer magazine (now The Railroad Press). Here are some of my older shots from the mid-60's when I was a teenager. I used a Kodak Rangefinder camera until July of 1966, when I got a Miranda G. Film used was Kodachrome II. Here is the LS&I #29 (now on the Grand Canyon Ry) given up for scrap in November 1969 in Marquette, MI. Click here for a high res. version of the photo above from Ted's site. 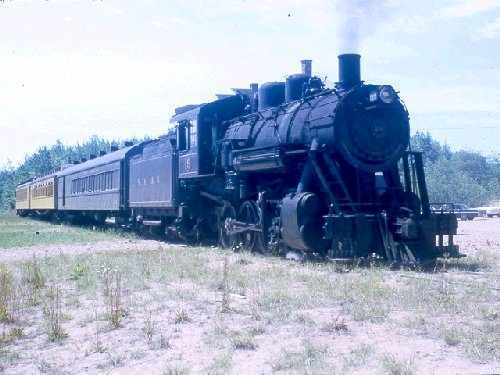 The Marquette & Huron Mtn's 2-8-0 #19 at Big Bay MI July 1964. This unit is now on display in the MGM Grand Casino in Las Vegas NV for the Grand Canyon Ry. 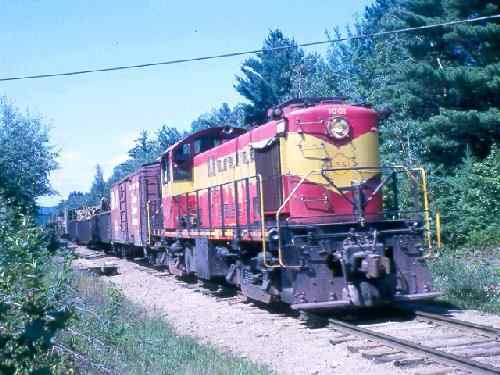 This is a Lake Superior & Ishpeming train near Marquette, Mi. 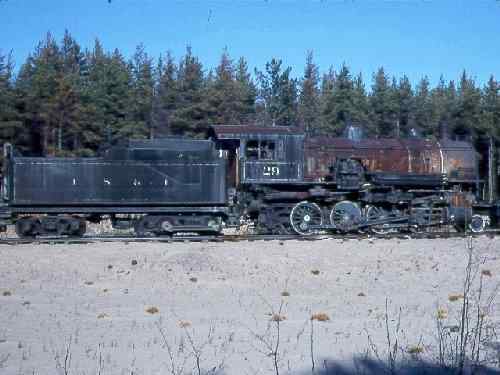 Taken Aug. 1966.